SSPO No Deal Brexit Warning. Commenting, Julie Hesketh-Laird, CEO of the Scottish Salmon Producers Organisation, said: “The Scottish salmon farming industry is optimistic in the long-term and sees a bright future ahead. The EU is a big market for Scottish salmon, worth over £290m annually, playing its part in fuelling increasing global demand for what has become a much sought-after product. 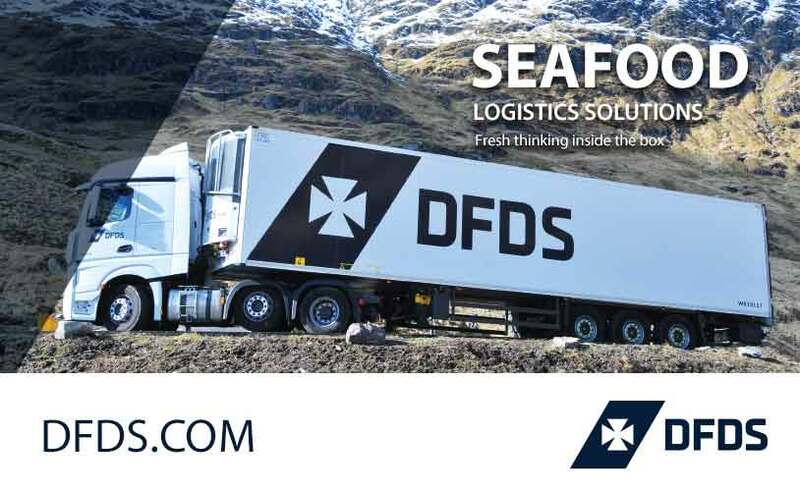 “A no-deal exit would cause immediate problems for the Scottish farmed salmon sector including tariffs for product being exported to European markets and the very real threat of logistical delays of getting salmon into the EU. For hauliers carrying perishable goods such as fresh fish, this is obviously more of a risk than for other carriers. “There is still confusion over how many certificates will be required, who can issue them and even if there will be a temporary grace period when the certificates won’t be needed. Nobody knows the answers to this one either but, as the clock ticks down towards March 29, this is obviously another area of concern. “The current Withdrawal deal poses problems as it couples all seafood exports to Europe with access to North Sea fishing grounds and caught fish quotas. We believe salmon exports should continue, regardless of discussions over quotas and fishing grounds and we will be arguing for that to continue. Scottish Salmon Producers Organisation (SSPO) is at the centre of Scottish salmon farming’s industry-wide initiatives and public communication, acting as a trusted source of information and a strong industry voice. The organisation plays a central role in representing its members on political, regulatory, media and technical issues in Scotland, the UK, EU and internationally. Salmon farming is a major contributor to the Scottish local and national economies. Farmed salmon is a key part of Scotland’s world-renowned food industry, accounting for around 40% by value of Scottish food exports. It represents a huge Scottish success story, an outstanding example of a ‘good food’, both in terms of its exceptional nutritional value and its standards of production. It has been awarded EU PGI status, marking its quality and distinctive origins, and it was one of the earliest international food products to be awarded the coveted French Label Rouge designation.